ATLANTA (AP) — Matt Ryan tumbled into the end zone, slammed the ball to the turf with a thunderous spike, and let out a scream that showed just how much he wanted this game. The Falcons (13-5) will face Tom Brady and the Patriots on Feb. 5 in Houston, just the second Super Bowl appearance in Atlanta’s 51-year history. Eighteen years ago, they lost to Denver in John Elway’s final game. Ryan threw for 392 yards and four touchdowns, but it was his 14-yard scoring run — his first TD on the ground since 2012 — that really set the tone . The Falcons drove the other way, settling for Matt Bryant’s 28-yard field goal and a 10-0 lead. 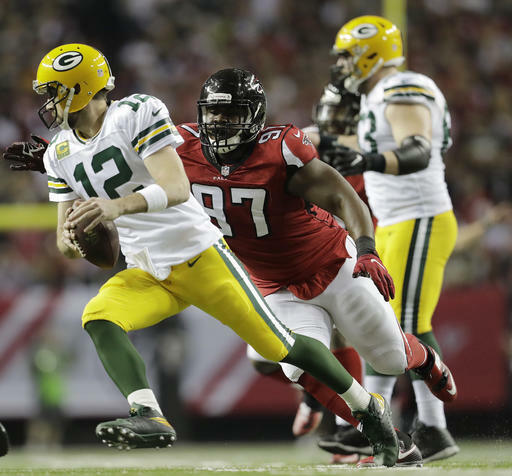 Then, with Green Bay poised to make a game of it, Atlanta’s much-maligned defense — one of the lowest ranked in the NFL — came through a momentum-swinging play. Fullback Aaron Ripkowski was breaking tackles and rumbling toward the end zone when Jalen Collins stripped the ball from behind and fell on it just across the goal line for a touchback. Tags: #superbowl #falcons #greenbay #playoffs #atlanta #packers. Bookmark the permalink.